This icon opens a list of all current conversation participants. 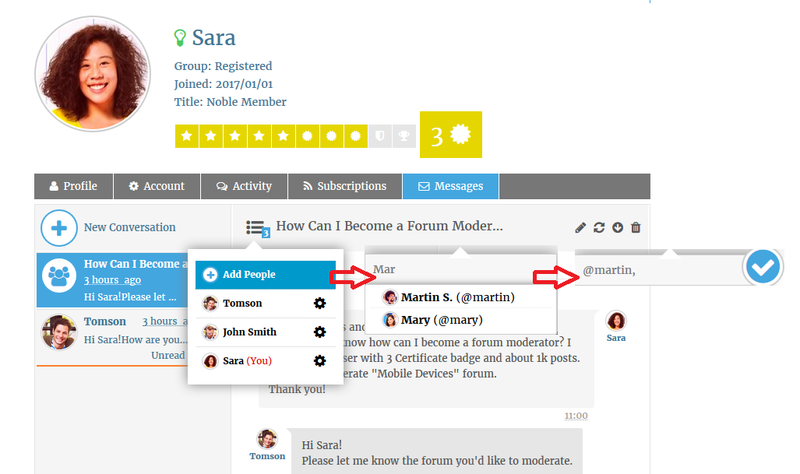 Click on Add People button and inset member name. it’ll do AJAX powered search and bring results for your search. Once you inserted all members, just click on blue round button next to the search field. There are some useful buttons on the top right side of message panel. Load all Messages – loads all old messages which are not currently in message list. Delete all Messages – deletes all messages of current conversation, but only from your side. All other participants’ messages will not be deleted.